Updated: Jan. 21, 2019, 3:28 p.m.
School districts across the nation are struggling with school bus driver shortages and Bulloch County is no exception. The Associated Press reported recently about the national problem and Paul Webb, chief operations officer for Bulloch County Schools, said the Bulloch system has experienced a similar major driver shortage for the past three years. Currently, Bulloch County is eight drivers short. 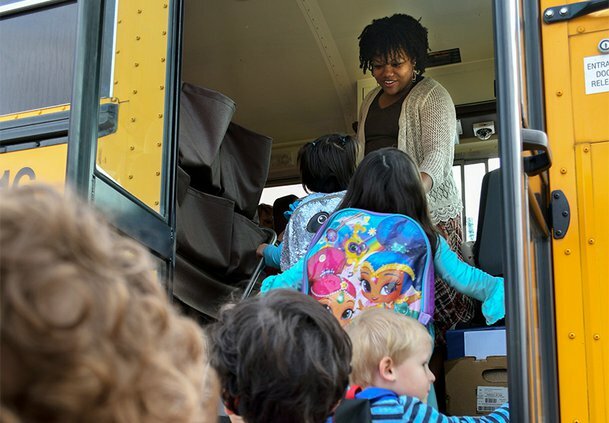 Also, four additional drivers are on long-term leave, meaning that the county is short about 12 full-time drivers, Janet Tanner, transportation supervisor for Bulloch County Schools, said. Overall, the school system has a team of 113 drivers, 17 bus monitors, 21 maintenance personnel and 7 mechanics. According to statistics provided by the system, more than 5,300 students are taken to and from school each day. Drivers collectively travel about 6,000 miles daily across more than 113 different routes. Drivers also travel an additional 52,000 miles annually for more than 1,300 fieldtrips and athletic events, bringing the total annual miles traveled to more than 1.5 million miles. One cause of the shortage is the high turnover rate for bus drivers. In 2018, Bulloch County Schools hired 19 bus drivers and lost 17 drivers, an 89-percent turnover rate, Tanner said. Along with high turnover, training to become a bus driver is extensive and can take months to finish. The whole training process can take about two months, Tanner said. “I would guess an excellent student, who has come here and can pass everything the first time, it would take at least two months from start to finish before they can become a sub for our county,” Tanner said. Another cause Webb pointed to is the amount of people applying to be bus drivers for the county is tied into the economy. In a down economy, the county sees more people applying to be drivers because they have difficulty finding fulltime jobs. But as the economy improves, many bus drivers leave for other jobs. “The drivers will opt to go into the trucking industry, let’s say, or because they have a commercial driver’s license, that we helped provide them, the doors are kind of opened up for even heavy machinery jobs,” Webb said. Webb said drivers in Bulloch County have a starting pay of $13.46 per hour or about $12,118 yearly. Bus driving is only a five hour-a-day job, so the pay is not as high as it would be in other similar industries. One of the major consequences of having a shortage of bus drivers is the need to split routes between other drivers, Webb said. When a route is split, the students on that route are divided among another driver’s route, so a driver is required to drive their regular route, as well as drive a part of another driver’s route. The first issue is that it delays the time that students may get home, which may cause parents to worry. Webb said the county has routes down to a system where they can predict within a small window of time when a student should arrive at their stop. This means that a student will get home at around the same night every day, barring unforeseen circumstance. When a driver is forced to split a route, however, it can cause the bus to arrive at its regular stops later than usual. The other issue with splitting routes it that it causes drivers to bus students they normally don’t drive and may not know very well, which may put drivers in an uncomfortable or unfamiliar situation. Faith Mobley is a five-year veteran bus driver of Bulloch County Schools, though she did not necessarily plan to have a career in transportation. Mobley said that while driving has its difficulties, such as dealing with unruly students, it has its rewarding and memorable moments. One moment that stuck out to Mobley was her interactions with a student who had some behavioral issues. Mobley said that one of the reasons that she has stayed is the opportunity to interact with so many people. While the county expects to continue to see a future driver shortage, officials have adopted a few strategies to bring in new drivers, Tanner said. First, the county has started to use social media to promote new job openings. Along with that, on weekends the county will send a bus driver out to a parking lot with their bus and they will hold a sort of roaming open house where interested people can have their questions answered. To combat the long training process, Bulloch County has also increased the amount of driver training sessions they hold from three a year to seven, with a session about every month and a half. Finally, the school system has been working over the past few years to try to gain a significant pay increase for its drivers. Anyone interested in becoming a bus driver can find the application and complete list of requirements on the Bulloch County Schools website at www.bulloch.k12.ga.us/busjobs.